Thanks Philanthropy University. Your past course of fundraising has helped to improve our organizational capacity and community. 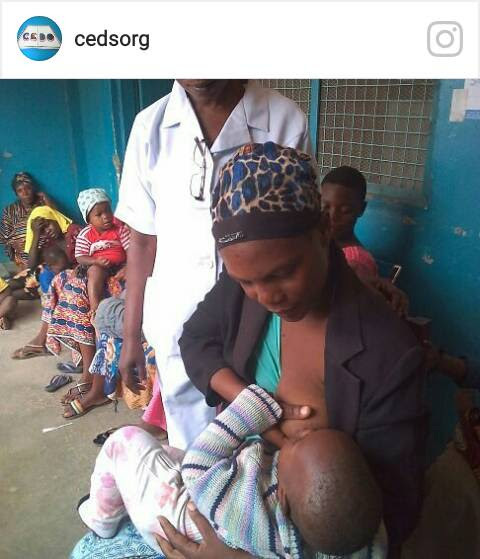 I used this training to create the strategic plan of raising money for the Christian Education and Development Organization (CEDO), the money raised was used to reach more than 236 young mothers in nutrition during the breastfeeding campaign. We raise public awareness on the importance of nutrition to pregnant and breastfeeding women. It is my greatest hopping that through this unrestricted grant I will achieve our goal of Improving the Health of Mother and Child in Tanzania by engaging women in Organge Fresh Sweet Potatoes Cultivation, and more than 500 people will be made aware on importance of Orange Freshed Sweet Potatoes, nutrition and economic and reduce the rate of stunting of children in rural areas of Tanzania. Given that malnutrition is one of the most serious problems affecting Infants, children and women of reproductive age in Tanzania. Despite progress made, millions of children and women in Tanzania continue to suffer from onevor more forms of malnutrition including stinting, underweight, wasting, anaemia, and vitamin and mineral deficiencies. Malnutrition is a threat to the health and survival of children and women, the educational performance of school children and the productivity of the nation. I want to change this situation through the Philanthropy University unrestricted grant and course. I want to use this unrestricted grant between April to May 2018. $ 600 will be used to empower one group of young mothers to continue in the field of Orange Fresh Sweet Potatoes cultivation. & 100 will be used for stationeries.